← Will Sustainable Big Business Agricultural Practices Help Save The Planet? Who doesn’t like ice tea? 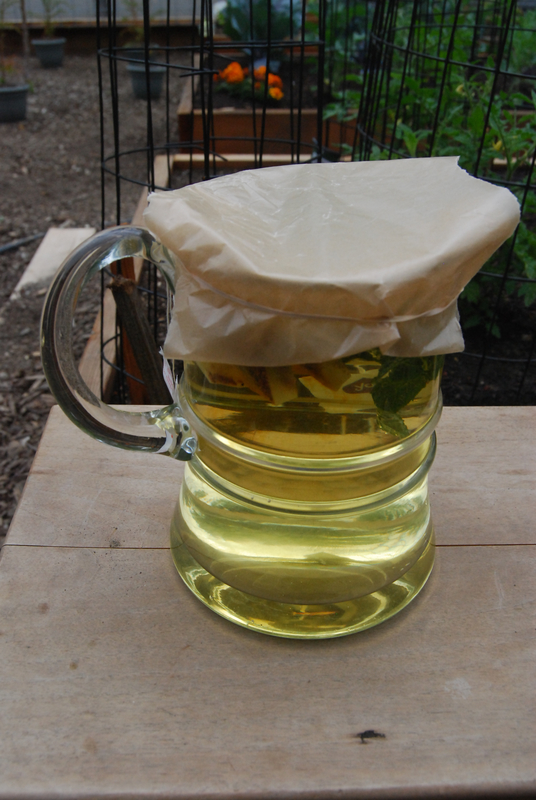 A favorite memory of my Mom is her recipe for Sun Tea. Of course, it’s not really a recipe other than the fact that you put water and tea bags in a jar and leave it out in the sun for a few hours. 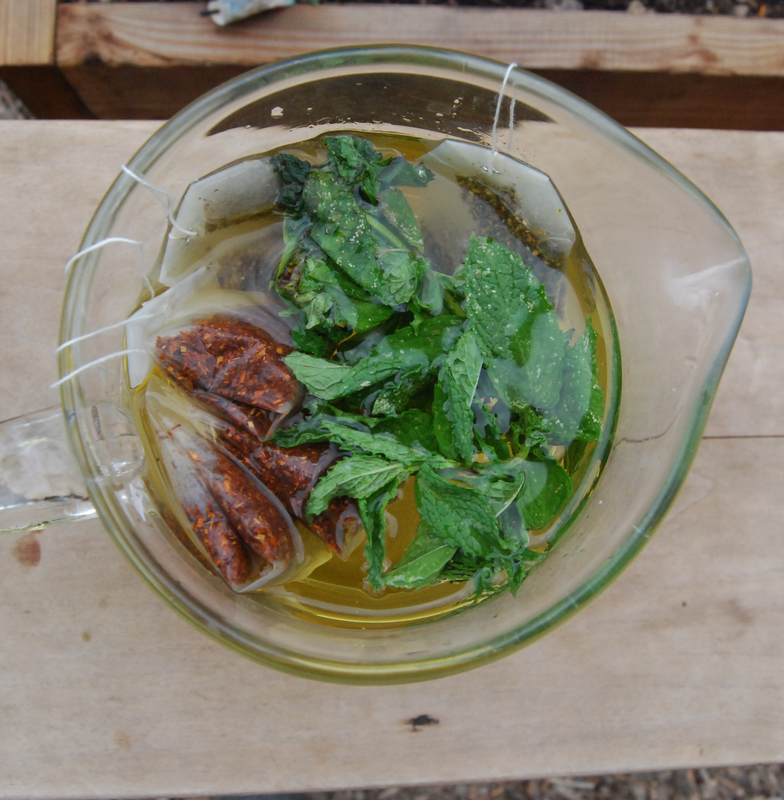 I have put a variety of twists on this basic recipe over the years and one of my favorite additions is fresh mint from here on the Lakritz Farm. Several years ago my daughter brought us batch of mint starts from her friend’s house which we planted near our tomato plants. We’ve had mint ever since. Mint is prolific! 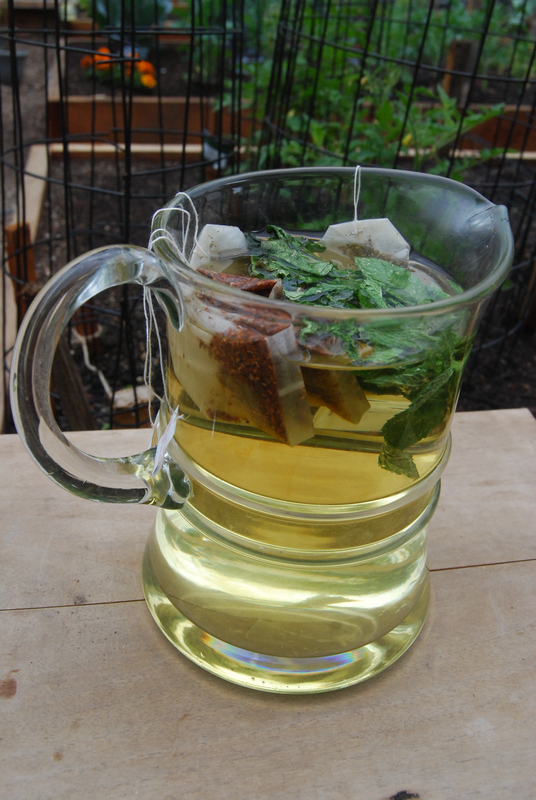 Today we are making our first batch of sun tea with mint. Looking forward to an afternoon glass to freshen up the day. This entry was posted in Farming Education, Lakritz Family Farm, Plants and tagged Education, Farm, Mint, Recipe, Vegetables. Bookmark the permalink.